If you're looking to know your London Dry from your Navy Strength or Old Tom and need some help choosing from the thousands of gins out there... GreatGins might just be the tonic. Despite launching just 20 months ago, The ONE blend of British whiskies produced by The Lakes Distillery, has now won its third international award for its outstanding quality. The International Spirits Challenge 2015, one of the world’s most authoritative, respected and influential spirits competitions, has awarded The ONE a silver medal in the Whiskies Worldwide sector, placing it amongst the leading whiskies in the world. More than 1,000 spirits from over 70 countries enter the awards with only those of the highest quality receiving awards, including The ONE’s sister brands The Lakes Gin and The Lakes Vodka which were awarded silver and bronze respectively in their categories, less than six months after production began. In its 20th year, spirits entered into the ISC are blind assessed by an experienced panel of over 50 respected and experienced industry professionals. The spirits are assessed according to their age, region and variety and then scored on their aroma, appearance and taste. Paul Currie, founder and managing director of The Lakes Distillery, commented on the announcement: “The ONE is a whisky of outstanding quality, blended with great care and passion to create a perfectly balanced whisky. We are the only blend to include the best whiskies from each of the countries in the British Isles. “We believe winning prestigious awards such as the ISC is a testament to our production values and a benchmark of the exceptional quality of our spirits. 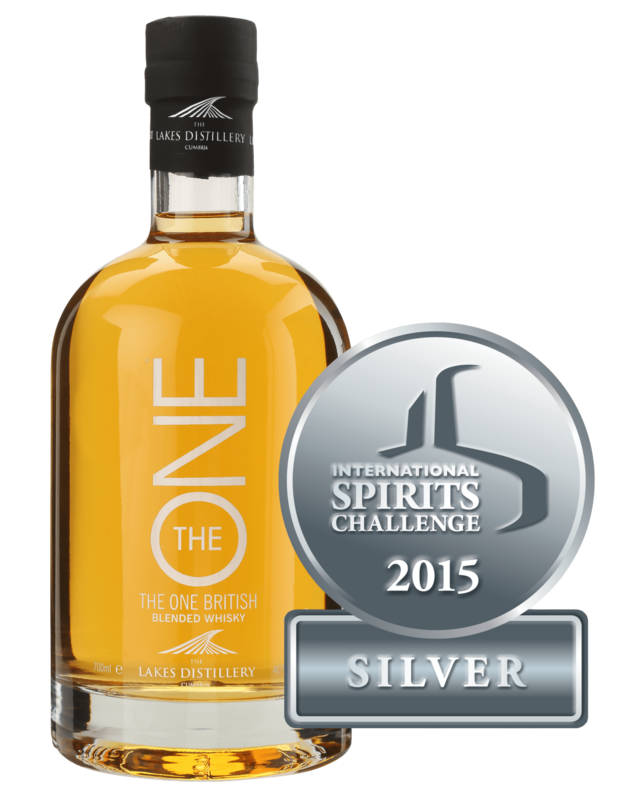 Both The ONE and The Lakes Gin have already received silver medals in the International Wine & Spirit Competition (IWSC) and the prestigious Cathay Pacific Hong Kong International Wine & Spirit Competition(HKIWSC) which awarded The ONE a Silver medal in the Worldwide Whiskey category and The Lakes Gin a Silver medal in the gin category. The ONE and The Lakes Gin have also recently been listed in Majestic Wines stores nationally. A spokesperson for the ISC commented: “The International Spirits Challenge is home to some of the finest palates in the world. Each of our judges must demonstrate their skill and knowledge in spirits before joining one of the ISC specialist panels. The Lakes Distillery opened its doors to the public in December 2014 and shortly after it started production of The Lakes Single Malt, The Lakes Gin and The Lakes Vodka. Visitors to the £7m distillery in Cumbria will find a world class Visitor Centre, artisan bar and bistro, The Bistro at the Distillery, and a shop selling the distillery’s spirits and a range of other local products. My name is Greg, and I’m a brand strategy consultant, writer, speaker, host and judge specialising in premium spirits. My mission is to experience, share and inspire with everything great about gin through my writing, my brand building and my gin tastings. Father’s Day Treasure… with Gin! The GreatGins gin blog is one man’s mission to experience, share and inspire with everything great about gin. Want our gincredible updates in your inbox?